I have moved my existing blog from LiveJournal, and from now on there will be one, all-inclusive blog on Blogger for Velvet Sparrow, Jack’s Henhouse and my Found Origami Project. I’ve included all of the past entries, which include not only stuff about the chickens & folding paper but our family life as well. Fun stuff, stories and tons of pictures! Just click on the link below. 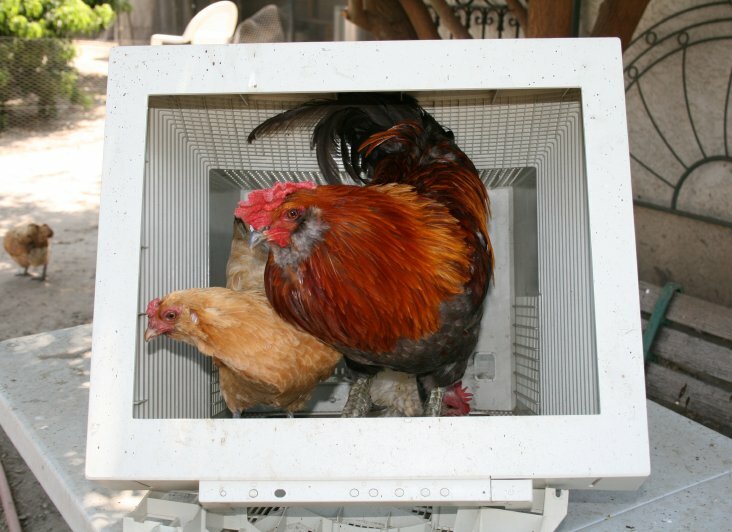 Phoenix and some of his girls demonstrating chickens on the Internet.